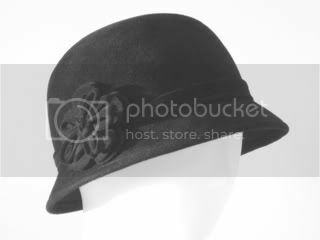 This small brim cloche hat is shown in Brick colored fur felt. The layered felt flower is attached with felt lashings which also make up the band and flower detail. Also available in velour fur felt, Please see color charts for reference.